How to Make Deleted Files Unrecoverable On Windows 10, 8,7? How to Make Deleted Files Unrecoverable On Windows 10, 8, 7? There is a saying, once dead should stay dead! Oh, it is nothing to be scared of! We are not talking about death or zombies, it is about deleting files and make deleted files unrecoverable on Windows. 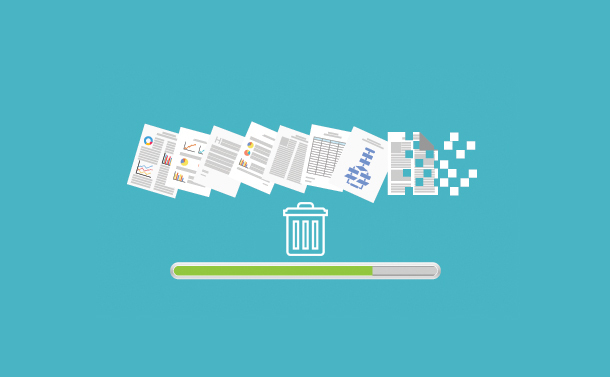 While most of us tend to focus more on data conservation and recovery, this article talks about data that you certainly do not want to come back from the dead. Usually when you perform Shift+Delete on a file, it can still be recovered through various means. But what if you deleted some sensitive piece of information from your computer, you do not want seen and it is recovered and viewed by someone without your consent? In such cases you need to know about how to delete files securely so they become irrecoverable no matter what. Can We Make Our Data Unrecoverable? Living in worries of getting our personal and sensitive information revealed can give you a mental strain. Making the files stay unrecoverable possible manually is just like looking for water on Mars, which is known to be there but nowhere to be found. So, to make sure what’s deleted stays unrecoverable, you need to take help of a third-party software. How Can We Make Sure Deleted Files Stays Unrecoverable In Windows? Download and Install Advanced System Optimizer. Once installed, it will launch on your screen. Now, as we need to make sure our erased files stay permanently deleted files on Windows, select Security & Privacy from the left panel. Under Security & Privacy, locate Secure Delete and click on it. Another window with the header Secure Delete will open. Note: You will also get four tabs to select from where you want to remove the files. Settings- Change the settings of drive and also the mode of wiping the data. You will get a button to Select Files in the left panel, click on it. As you proceed further, you will get to select file/folder that you want to delete securely. From Add File or Add Folder, select the files. You click Next, it will take your confirmation to securely delete the files by asking you to punch in a three-digit code. Click Next, once the files are permanently deleted on Windows, click Finish. To permanently delete files of Recycle Bin on Windows, you can use this tab. Click on Recycle Bin tab on Secure Delete window. Now click on Start Scan Now button to initiate the scan. It will scan and give the details of the items to be wiped. You will get a button Wipe Now at the bottom of the window. You click Wipe Now, it will take your confirmation to securely delete the files by asking you to punch in a three-digit code. Once the task is done, click Finish. To delete data from a particular Drive, you can click on the tab Drive. By default, C Drive is selected. You can also change the Drive with Drive Settings. Once you are sure about the drive from which you want to delete the data, click Start Scan. Once the scan is completed, click Wipe Now. Once the process is completed, click Finish. Under these settings, you can select the Drive, from which you want to wipe and also you get an option to select option for wiping process. Under this option, you can select to wipe deleted files only, wipe the entire drive or wipe the free space. Once you click on Wipe Settings, you can select the wiping method from the given four options. You get to choose between Fast Secure Delete(default), Random fill data streams and Secure Delete. You get the description of each of them along with the option to let you understand what’s best for you. Click on the checkmark beside any of the option to select and click Save Settings. So, in this way you can permanently delete files on Windows. Advanced System Optimizer is not only a perfect fit for securely deleting files on Windows, it can be used for other things as well. Additional Features That Make This Software A Great Catch! When it comes to cleaning and optimization of your computer, you can blindly trust Advanced System Optimizer. It acts as System Cleaner by removing old and outdated files, junk files and makes space on the system to make it run faster. It is considered to be one of the best Game Optimizers, as it makes sure that you get to play your favorite game without any distractions. You can also switch between gaming computer and business PC with a single click. It acts as a Driver Updater, keeping check on outdated drivers can be very important as ensures that your computer’s performance never lags. It acts as a system protector as well. It scans, identifies and removes any malicious file or program that could pose a threat to PC security. These are the other features that makes having Advanced System Optimizer a necessity on your computer. Whether it is to make deleted files unrecoverable on Windows or make sure your system is optimized and clean, Advanced System Optimizer can do it. Try it and let us know how do you feel about it in the comments section below.